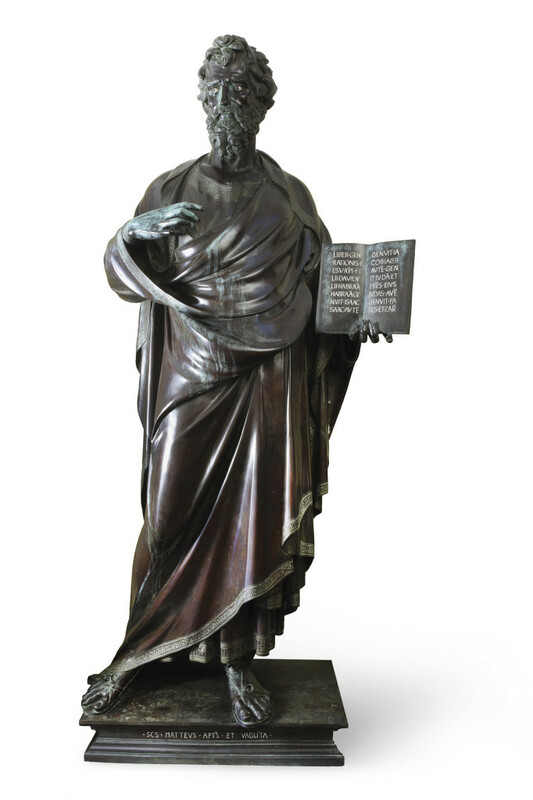 One of the fourteen bronze sculptures in heroic size (104.3 inches tall) ordered in the XV century by the Florentine Guilds for the outside niches of Orsanmichele Church in Florence. San Matthew has been ordered to Ghiberti in 1419 by the Banker’s Guild, and was finished in 1422, after that the first cast of 1421 did not succeed (and Ghiberti had to pay the second cast). 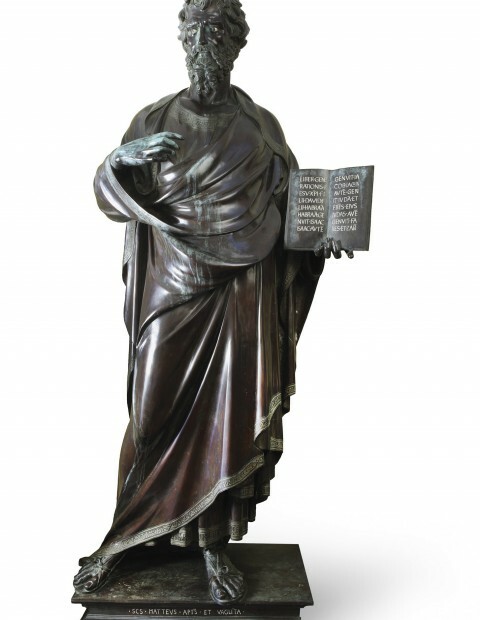 The statue is now inside the Orsanmichele Museum, and the one outside the Church has been cast by Ferdinando Marinelli Foundry.